After stepping into the smartphones arena. Microsoft has now launched a new version of its windows which is none other than Windows 10. After fixing up all the bugs of the previous version. Microsoft has taken a great care for Windows 10. Now ultimately it had ranked as the best version of Windows version ever released. mainly because of it’s awesome features. After the arrival of Windows 8.1 Microsoft directly announced the Windows 10 version. The popularity for Windows10 is growing day by day. 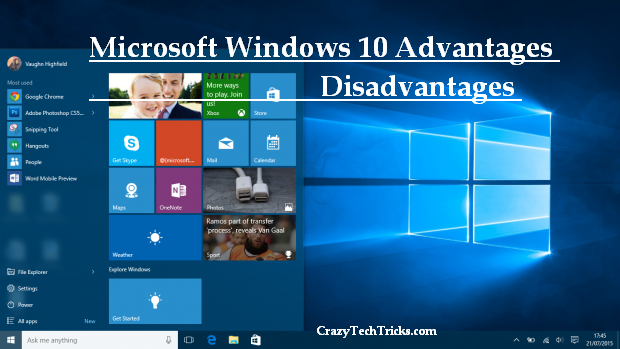 In this article we will discuss about the Windows 10 Advantages Disadvantages and many more. We will discuss about Windows 10 Advantages Disadvantages. We will also discuss Advantages Disadvantages of smartphone version. Firstly the design of the start menu has made the people to have a look at it. It’s transparent and sleeker and it provided the power button at the bottom of the start menu which made it look different from previous versions. The new version of Windows 10 is also providing the uninstall link directly on the start menu for both mobile as well as desktop version. Microsoft thought at the customer point of view and introduced Windows 10 at free of cost to the existing users of windows 7 and 8.1. 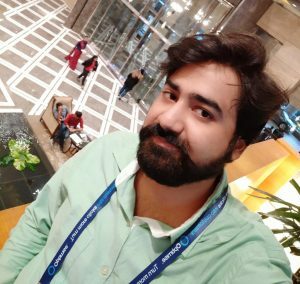 The users can also get the update information about their Computer through lifetime and Microsoft had also announced that it will be launching a new browser named Microsoft edge. Along with windows 10, When it comes to the mobile arena Microsoft is going to introduce a completely new look for the mobiles. It had completely changed its outlook and a specialized new version of Windows 10. It is prepared for smart phones, Microsoft now introduced the multi desktop system in smartphones also improved the multitasking by allowing 4 apps in a screen. Microsoft had taken all the necessary precautions for fixing the bugs and avoiding disadvantages which resulted in previous versions but there are some disadvantages in Windows 10. We cannot resize the windows using handle bars and the biggest drawback is that there is no more windows media center in Windows 10. The people who are habituated of using small icons and bars will feel it difficult to adjust with Windows 10. Moreover this version not yet completely revealed and windows 10 license is going to be only for one year. Reduced flexibility and unified development are the other drawbacks. Microsoft Windows 10 is far better than previous version of Microsoft. As far as the previous windows versions are concerned and available for free. It may take time to adjust with the newer version but after that you will be enjoying Windows 10. If you have find any option useful or faced any problem in using Windows 10 then do share Windows 10 Advantages Disadvantages with us.